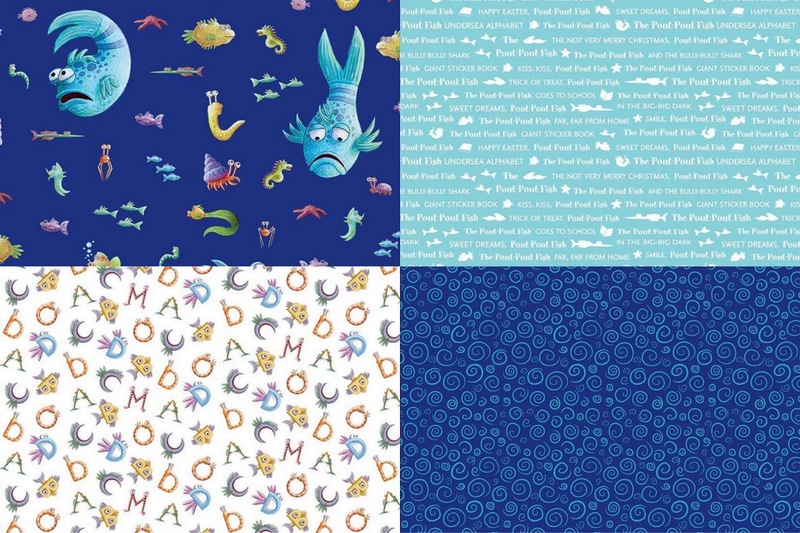 This month Riley Blake Designs released the cutest fabric...The Pout Pout Fish! The fabric designs are based on the books by Deborah Diesen about a fish with a sad looking face. 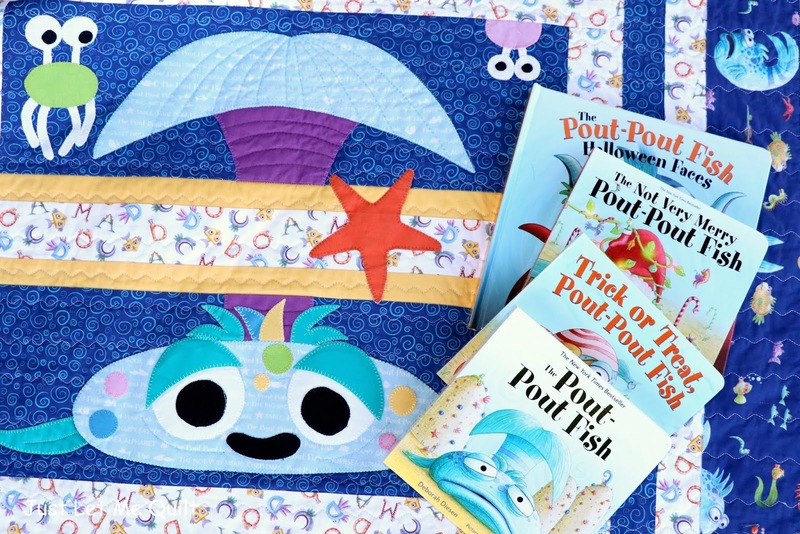 The fish on this quilt has a smile, but I'm sure he/she would love to play with Pout Pout Fish! After all, he's so cute even with that frown on his face. These are the fabrics I used on my project for this tour. The quilt and books will make a special Christmas gift for the Monkey Baby. I can't wait to read the books to him! Snuggling will be happening with the plush fabric on the back. 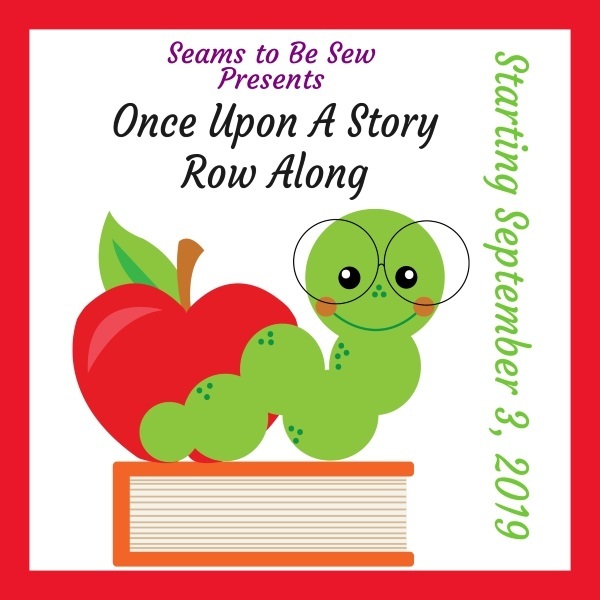 Little critters will be listening in on the stories, too. 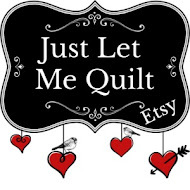 You can find the pattern for My Little Reading Quilt in Just Let Me Quilt's Etsy store HERE. Look how cute the panel is! Sweet quilt and perfect for the books! I haven't read these books but they sound like a "must." Maybe my granddaughters already have them--I'll get to see when we go tomorrow. 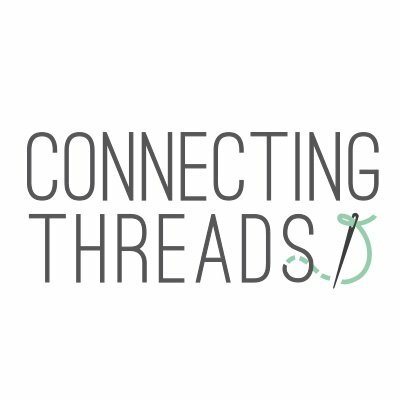 :) Thanks for sharing the quilt and pattern! Great quilt. My kiddos are all a bit older and while I used to read to them at night. Now they read to themselves. Which is still so very cool. Such a cute and sweet quilt! Great job, Carol! 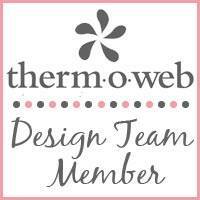 Love that fabric line too! You always do such a nice job with panels like that. That’s a cute little quilt. I'll have to check out these books! What a fun quilt! You are busy busy.